A NUCLEAR submarine that has been deployed for 11 months is due to return home tomorrow. The captain of HMS Trenchant, Commander Irvine Lindsey, said it is believed to be the “longest ever” nuclear submarine deployment. The crew, seven of whom have been onboard for the entire trip, will be reunited with their loved ones at the boat’s home port, HM Naval Base Drake late on Wednesday afternoon. The hunter-killer submarine left Devonport on June 22 last year. When it arrives home it will have been away for 335 days – 30 days short of a year. On high alert as the United Kingdom’s frontline strike asset, the submarine spent 267 days east of Suez, continuing the nuclear-powered submarine presence that has been established there since 2001. Cdr Lindsay said: “It is believed that this 11-month period away from the UK is the longest ever UK nuclear submarine deployment. “The ship’s company have met every challenge head-on. 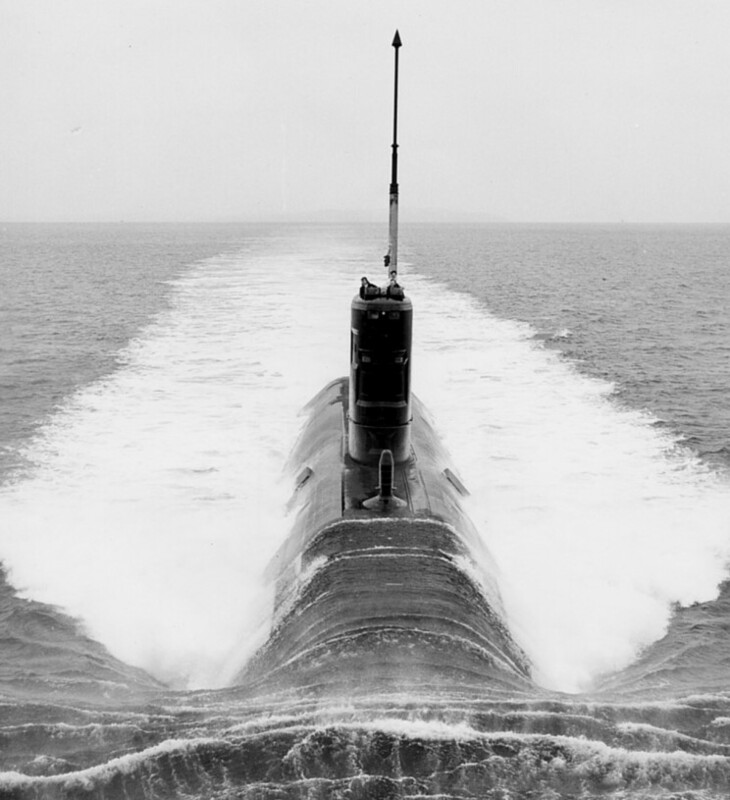 They have achieved success on operations, maintaining the material state of the submarine in a harsh environment and demonstrating the unique and potent military utility of the submarine. “Whilst I am enormously proud of the achievements of my ship’s company I do not believe that they are a unique body of men. During the deployment the vessel has visited six different ports: Fujairah, UAE; the British Indian Ocean Territory – Diego Garcia; the Kingdom of Bahrain; Aqaba, Jordan; Souda Bay, Crete; and Gibraltar. HMS Trenchant conducted training and multi-national exercises with seven UK warships, a French submarine, multiple US warships and auxiliaries, a US submarine and a range of multinational aircraft. During the deployment the chefs onboard have cooked 103,350 meals, and produced over 44,000 homemade rolls. The deployment has spanned 38,800 nautical miles – the equivalent of 1¾ times around the world – and the submarine has spent over 4700 hours underwater the equivalent of 6½ months. This entry was posted in UK Submarines and tagged Deployment, HMS Trenchant, Submarine on May 21, 2013 by jasonlockley.